We are five players from the Augustana Vikings men's hockey team and we are raising money to donate to Kids With Cancer that will be accompanied with our hair donations to 360 Hair on March 22nd. 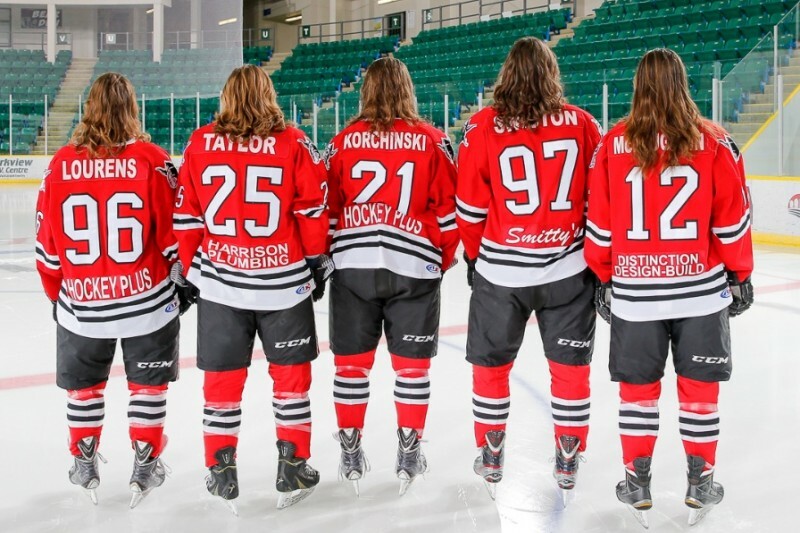 The five players who are contributing their hair to this incredible cause are Tanner Korchinski, Scott Swiston, Beau Taylor, Kevin Lourens, and Connor McLaughlin. We are donating our hair to a Canadian organization based out of Langley B.C., called 360 Hair . They take hair donations and make wigs for cancer patients under 19 years of age. This organization gives valuable support to children during their battle with cancer and do it on a 100% volunteer basis. The organization we are raising money for is the Kids With Cancer Society . Just as our hair will be made into wigs to help children through their difficult fight with cancer, this organization helps support children and their families right from the time of diagnosis. This is an amazing cause and we are unbelievably grateful for any support you can give. Augustana Vikings Hockey Game Donations .